MASSP's Incentive Award program is intended to provide a special opportunity for an administrator to attend the NASSP/NAESP Joint National Principals Conference for professional development. The award is offered to one member and will consist of paid registration to the NASSP National Principals Conference and round trip air fare to the site of the Conference. 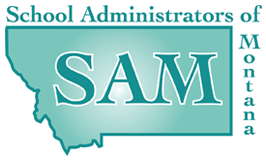 MASSP's president will write a letter to the award winner's superintendent requesting adequate release time and financial support for meals and hotel accommodations in the Montana room block. Applicants must be a member of MASSP and NASSP. Applicants must not have attended an NASSP Conference. Applicants must have been involved and served in MASSP activities. Applicants must complete the online application by the deadline indicated. No extensions will be provided. Jake Haynes, MASSP President-Elect, will serve as Chair of the Selection Committee. The Committee will review the submissions and select the winner who will be announced immediately thereafter. The Online Application Process is now available! Please click on NATIONAL CONFERENCE INCENTIVE AWARD to access form and apply!